A low cost of living and an increasingly cosmopolitan food and beverage scene make Iowa’s capital one of the country’s top emerging markets. Iowa enjoys the national spotlight during presidential primary season, but the Des Moines scene remains vibrant even when the political cycle winds down. 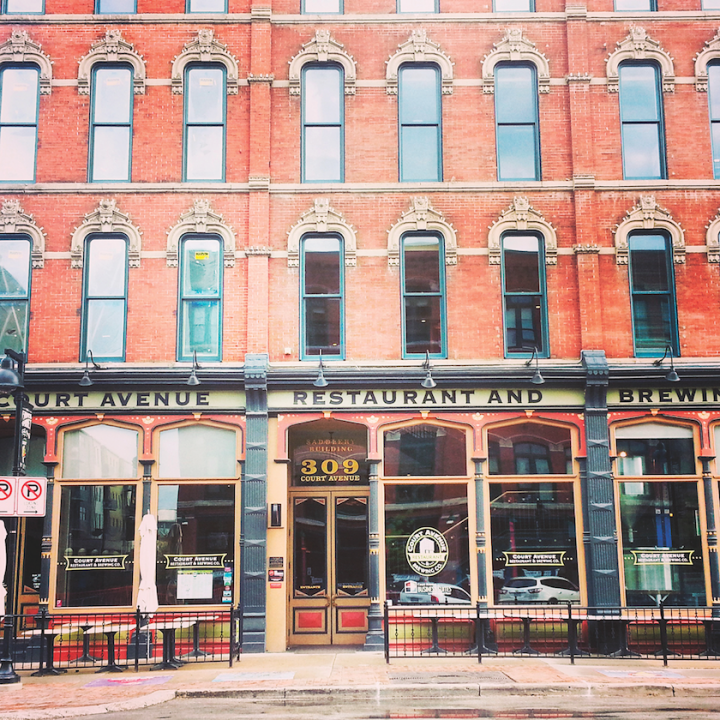 The brewpub Court Avenue Restaurant (above) highlights upscale bar food and drinks. The restaurant Americana serves sophisticated craft cocktails (above), including classic Old Fashioneds, Tequila-based Negronis and several variations on a Moscow Mule. Des Moines’ population was roughly 207,000 in 2013, but that number is climbing. In December 2014, the website Realtor.com—part of the Move Inc. network—named the city as one of the top 10 housing markets to watch. At that time, the median home price in Des Moines was $180,000, well below the national median of $221,000, according to Move Inc. senior communications manager Lexie Puckett. “High affordability and high levels of home ownership among millennials set the stage for strong housing performance,” Realtor.com reported. Jason Simon, owner of Eatery A and Alba Restaurant, agrees. “Des Moines is coming into its own,” Simon says. “The city has helped spur that growth with the redevelopment of pockets of Downtown, allowing businesses to emerge.” Alba is located in the East Village neighborhood, part of a revitalization of the once-tepid restaurant and bar scene near the state capitol building. 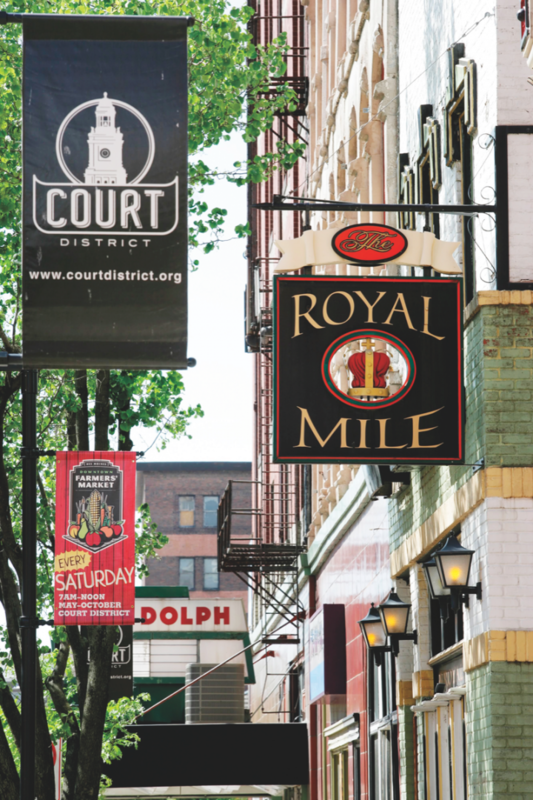 “The East Village is the hip, up-and-coming area in Downtown Des Moines,” Southern’s Crowder notes. Royal Mile curates a long menu of Scotch and Irish whiskies in a British-style pub setting. Beyond the city proper, some suburbs are also showing nightlife vitality. “Des Moines has three or four suburbs that are nationally ranked in terms of quality of living, low crime rate and other measures,” Crowder explains. He points to areas primarily in the west and north of the city—Waukee, Grimes, Johnston and Ankeny, among others—that are attracting a slightly older and more affluent population. In the off-premise, much of the volume is concentrated in grocery stores, particularly the West Des Moines–based chain Hy-Vee, which features dedicated beverage alcohol sections at its stores and hires knowledgeable staff to assist customers. Prominent independent accounts like Central City Liquors and Ingersoll Wine & Spirits also contribute to the city retail scene. Operators note that the revitalization of Des Moines has transformed local consumption patterns. The penchant for Bud Light or Jack and Coke has given way to many of the same trends seen in the national market: craft cocktails, high-end Bourbons and local beers. “Moscow Mules are very hot right now,” Smith of Wellman’s says. She adds that other trends include classic gin- and whisk(e)y-based cocktails, as well as the continuing strong clutch that Fireball cinnamon-flavored whisky has on the shot market. Americana’s Carlson also cites the Moscow Mule’s popularity, adding that the restaurant’s top-selling cocktails are variations on the drink. The Barbados Mule ($8) comprises Mount Gay Black Barrel rum, Cynar liqueur and Wertzberger’s ginger beer—which is made by Carlson’s Court Avenue brewery—while the Georgia Mule ($7.50) features New Amsterdam Peach vodka, Wertzberger’s ginger beer and a lime wedge. 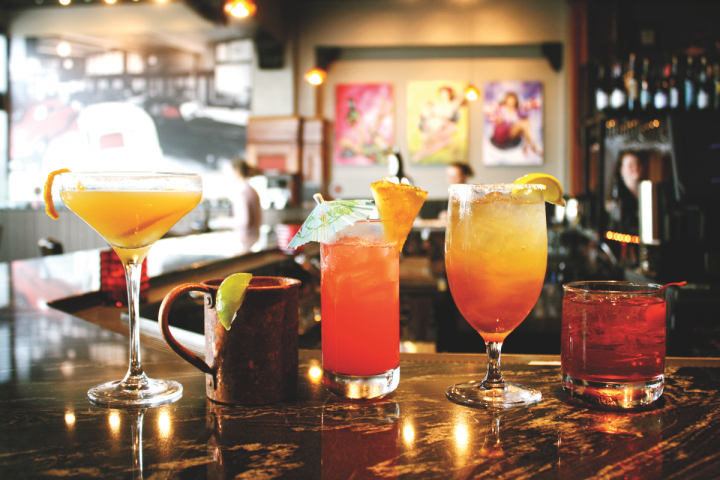 On the bar side, G. Mig’s has an entire menu devoted to Mules. Selections include the Traditional Mule ($8), made with Grey Goose vodka, lime juice and Barritt’s ginger beer, and the Red Hot Mule ($8), using Jack Daniel’s Tennessee Fire, cinnamon simple syrup, Barritt’s ginger beer and an orange garnish. Wine is less of a player in the Des Moines market. Murphy of 801 Grand says demand at his steak house is strong for Cabernet Sauvignon, particularly selections from Napa Valley. He also notes the rise of spirits like Templeton rye whiskey, which is bottled in Iowa. Americana’s Carlson says wine doesn’t have the same story that spirits have. “Not that wine has lost its luster by any means. It’s still very popular, but we don’t have local winemakers, and it’s all about craft right now,” he explains, noting the nascent local spirits market and the huge boom in regional and craft brews. Craft beer is big in Des Moines thanks to a 2010 legal change that lowered taxes on higher-alcohol brews. 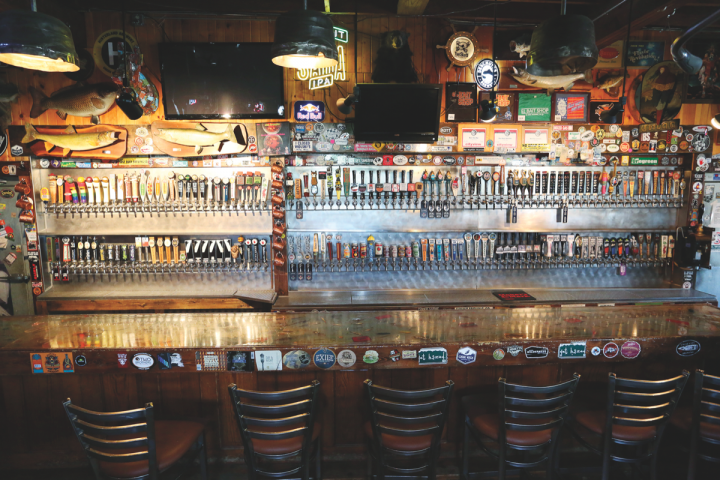 El Bait Shop (taps pictured) has 182 draft handles and often attracts customers seeking limited-edition labels. Drinkers rally around locally produced options. Several operators say the biggest excitement within the beverage alcohol sector is the explosion in local brewing. A change in state law in 2010 gave brewers more leeway to produce the types of beer they wanted to make. Previously, any products containing more than 5-percent alcohol-by-volume (abv) were regulated as spirits—subjected to a 25-percent excise tax and distributed by the State of Iowa’s Alcoholic Beverages Division. Now, the definition of beer has been expanded to include brews up to 15-percent abv. “When we got that law changed, people came out of the woodwork,” says Carlson, who opened the Court Avenue brewpub in 1996—more than a decade before the law changed. 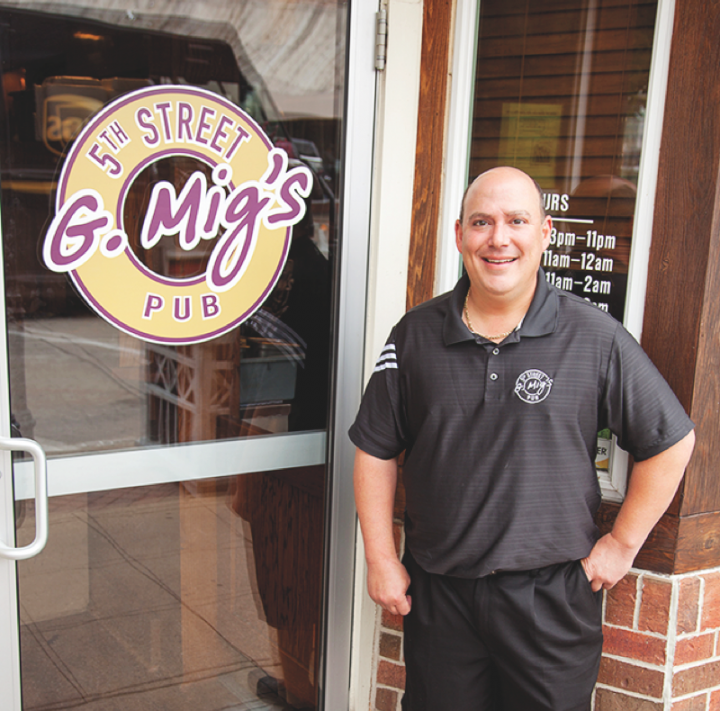 Bruning of Full Court Press, which operates nine bars and restaurants in the Des Moines metropolitan area, says several of his venues are capitalizing on the craft beer craze. The company’s El Bait Shop in Downtown has 182 draft handles featuring mainly local and Iowa beers. “We sometimes blow through 50 kegs a week,” Bruning says. “We’re playing to the crowd that is anxious to get here because they don’t want to miss a beer.” He notes that El Bait Shop creates a sense of urgency by offering limited quantities of certain brews. The bar’s best-selling beer is Confluence Brewing Co.’s Des Moines IPA ($5 a 16-ounce pour). Some operators are banking on the continuing success of craft brews. At press time, Full Court Press had plans to open an all-Iowa craft beer bar with 120 tap handles in Downtown Des Moines in the first quarter of 2016. Earlier this year, Carlson launched the Iowa Craft Beer Tent at the Iowa State Fair. The 48-tap truck is essentially a mobile beer bar featuring products exclusively from Iowa. Carlson notes that the market has evolved significantly in the 20 years since he opened Court Avenue. In addition to the consumption changes, the entire city has a new vibrancy. “Des Moines has come a long way,” he says.